India is one of the countries that have highest subnational disparities in personal healthcare access and quality. India ranks 145thin the list195 countries in terms of quality and accessibility of healthcare, far behind its neighbouring countries like Bangladesh, Sri Lanka and Bhutan in the region, according to Global Burden of Disease Study 2016. The study published in the medical journal The Lancet, however, says that the country has improved its ranking on global healthcare access and quality index from 153 in 1990, on par with the global improvement. Since 1990, personal healthcare access and quality have improved globally with many countries in the Sub-Saharan Africa and Southeast Asia accelerating their pace of progress from 2000 to 2016. During this period, India witnessed an improvement of 16.5 points from 1990 and secured 41.2 points in 2016. 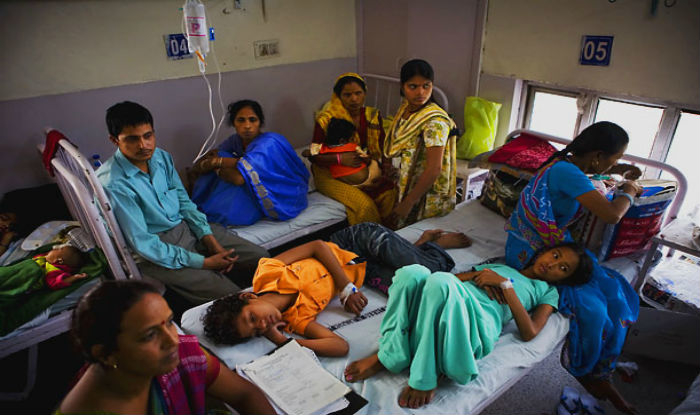 “Although India’s improvements on the (health care access and quality) HAQ index hastened from 2000 to 2016, the gap between the country’s highest and lowest scores widened (23 4-point difference in 1990, and 30 8-point difference in 2016),” the study stated. Though its healthcare access and quality have improved, the country lies far behind its BRICS peers Brazil, Russia, China and South Africa. In the South Asian region, Sri Lanka stands at 71strank, Bangladesh 133rdand Bhutan 134th. India performed slightly better than Nepal (149th) and Pakistan (154th). The study again highlighted that India performed poorly in tackling the cases of tuberculosis, rheumatic heart diseases, Ischaemic heart diseases, stroke, testicular cancer, colon cancer and chronic kidney diseases among others. In the list of healthcare access and quality in 2016, Iceland with 97.1 points bagged the first rank, followed by Norway (96.6), the Netherlands (96.1), Luxembourg (96.0), and Finland and Australia (each with 95.9). On the other hand, the countries with the lowest scores were the Central African Republic (18.6), Somalia (19.0), Guinea-Bissau (23.4), Chad (25.4), and Afghanistan (25.9). Goa with 64.8 points and Kerala with 63.9 points performed best among Indian states and union territories. Other top performers are Delhi (56.2) and Himachal Pradesh (51.7). The worst performers are Chhattisgarh and Jharkhand (34.7), Bihar (37), Odisha (36.3), Uttar Pradesh (34.9) and Assam (34). “Striking subnational disparities emerged in personal health-care access and quality, with China and India having particularly large gaps between locations with the highest and lowest scores in 2016. In China, performance ranged from 91·5 (89·1–93·6) in Beijing to 48·0 (43·4–53·2) in Tibet (a 43·5-point difference), while India saw a 30·8-point disparity, from 64·8 (59·6–68·8) in Goa to 34·0 (30·3–38·1) in Assam,” the study added. Large variations in physical access to health facilities, the state of health infrastructure, the level and scale-up of medical technologies, provision of effective services across the spectrum of care etc. resulted in the regional differences in India and China. “These results emphasise the urgent need to improve both access to and quality of health care across service areas and for all populations; otherwise, health systems could face widening gaps between the health services they provide and the disease burden experienced by local communities,” the study explained. “Large geographical inequalities persist across and within countries, highlighting an urgent need for policy attention toward places at risk of being left behind,” it added.